Why Would Anyone Ever Become a Foster Parent? I knew very little about foster care, except for what the media portrayed. That was until my daughter went into foster care the day she was born. We were due to adopt our daughter when the birth mother changed her mind a few months before giving birth. When our daughter was born, however, we got the call that the birth mother had decided to place and was unable to legally parent any longer. At this point, we were simply not ready. Our paperwork was not complete and we had to get legal ground from which to gain custody. For three months, we went through the adoption and custody process knowing that our daughter was in a foster home somewhere. In my mind, she was in a dirty house with mean people who were ignoring her when she cried. There were 10 other kids and lots of cigarette smoke. It may sound silly, and it does to me now, but I knew nothing of foster care, other than the poor portrayals on shows like “Law and Order,” and the horror stories one might see on the news. Three months into our legal process, my daughter’s caseworker called to say my daughter’s foster mom reached out and wanted to speak with us. I was over the moon and confused at the same time. I was able to speak with a wonderful woman who told me all about her family and how much they loved my daughter. She told me all about my daughter’s health, milestones, and sent me daily updates and pictures. It was then, my view of foster care shifted. Foster care, in my mind, was an anomaly. Aside from those portrayed on TV who fostered as many children as possible for the money, who would bring a child into their home and be able to give them back? Who could handle the baggage that came with the child and having to deal with their parents who had their children taken away? I am ashamed of how wrong my views were back then. While there are bad foster homes, my daughter spent the first three and a half months of her life with some of the most loving people on the planet. They are still family to us and our daughter. When we picked our daughter up from them, my heart broke trying to imagine how they could simply be without her after spending all that time together. Her foster mom told me she was sad but more joyful for us. She fostered because of the love she has in her heart for kids who need a home, even temporarily. She fostered for parents of those children who simply needed someone to take care of their children while they got back on their feet. She fostered because how awful would it be if those children didn’t have a home to go to? At any given time, hundreds of foster children sleep in the offices of Child Protective Services with no open beds in foster homes to place them in. Children, going through some of the toughest times in their life, sleeping on the floor of an office. This is why people become foster parents. My daughter had a safe and loving home to spend the first three months of her life because a wonderful couple chose to become foster parents. My husband and I were so inspired by our daughter’s foster family and our views so changed that we are beginning the process of becoming foster parents. Will it be hard when children leave? Absolutely. Will we bond with these children? It would be sad if we didn’t. Most of all, we will have the joy of knowing a child was loved in the in-between. They will get to keep that forever. We will have the joy of knowing we were able to help a family know their child was safe and loved while they sorted life out. Foster care can be hard and gut-wrenching. I have heard story upon story that would break even the strongest of men. In all of these stories, I have never had a foster parent tell me they regretted the time they spent or that it was not wholeheartedly worth it to impact the life of a child, even if only for a short while. 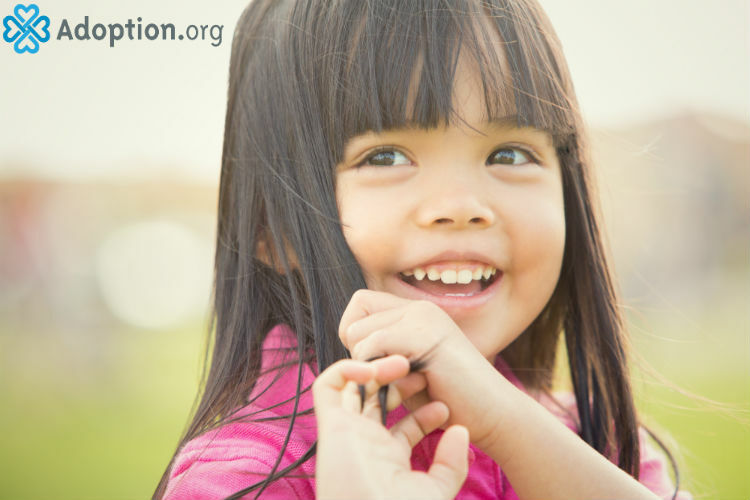 For more information about adoption or foster care, visit Adoption.com. For help to adopt a child, or view adoption photolistings, visit Adoption.com/photolisting. Lita Jordan is a master of all things “home.” A work-from-home, stay-at-home, homeschooling mother of five, she has a BA in Youth Ministry from Spring Arbor University. She is married to the “other Michael Jordan” and lives on coffee and its unrealistic promises of productivity. Lita enjoys playing guitar and long trips to Target. Follow her on Facebook.